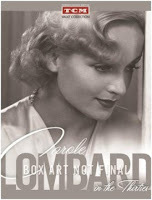 ...The latest news on the TCM Vault Collection : Next January 21st TCM will release CAROLE LOMBARD IN THE THIRTIES. The three titles in the set are NO MORE ORCHIDS (1932) with Lyle Talbot, BRIEF MOMENT (1933) costarring Gene Raymond, and LADY BY CHOICE (1934) costarring May Robson. The films have been restored and will have an introduction by Ben Mankiewicz. ...October 13th was the birthday of the late actress Laraine Day, best known for the DR. KILDARE movie series and later as the "first lady of baseball." Kristina has an excellent profile of the actress at Speakeasy. ...Speaking of baseball, BIG LEAGUER (1953), available from the Warner Archive, sounds interesting. 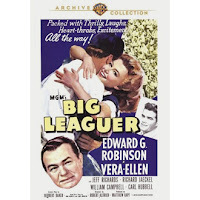 Edward G. Robinson plays a baseball coach, with dancer Vera-Ellen in a rare dramatic role as his niece. MGM '50s contract player Jeff Richards (SEVEN BRIDES FOR SEVEN BROTHERS) also stars. Glenn Erickson has a review. ...Toby reviews George Montgomery and Nancy Gates in MASTERSON OF KANSAS (1954) at 50 Westerns From the 50s. ...Dear Old Hollywood looks at the locations of TWO-MINUTE WARNING (1976), a Charlton Heston thriller I've had sitting in my Netflix Instant queue. 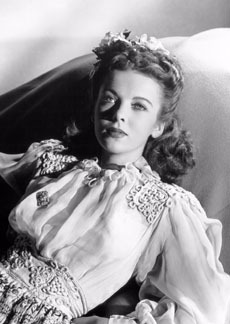 ...Greenbriar Picture Shows has a fun post on Ida Lupino's wartime comedy PILLOW TO POST (1945), which I reviewed back in 2007. ...Heartwarming video of the day: how a beautiful dog saved a baby's life. It's worth the minute of your time. ...A total guilty pleasure now available for free streaming for Amazon Prime members: BLOOD VOWS: THE STORY OF A MAFIA WIFE (1987). It's a TV-movie which stars Melissa Gilbert of LITTLE HOUSE ON THE PRAIRIE in one of her first adult roles and the oh-so-handsome Joe Penny as the too-good-to-be true lawyer she marries. Anthony Franciosa, Eileen Brennan, and Talia Shire costar. Yes, they even cast an actress from THE GODFATHER! If you can get past the women's awful '80s hair and makeup, it's a compulsively watchable film which builds to a shocking-for-1987-TV ending. 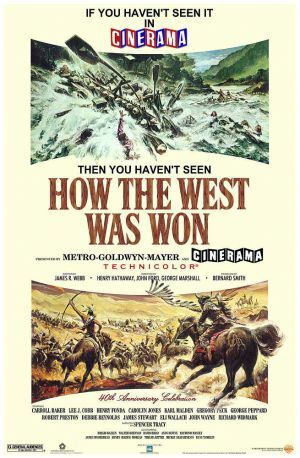 ...Lindsay shares the experience of recently seeing HOW THE WEST WAS WON (1962) in Cinerama at Lindsay's Movie Musings. ...Tom Hardy is going to star as George Mallory in a new movie on Mount Everest. The climbing history of Everest is one of my interests, but I can't say I'm anxious to see this one, given that Mallory famously died on the mountain. ...My daughter, who works as a Hollywood assistant, was amused to read there's going to be a TV comedy on that topic. ...Seen via a Twitter link last week: an IT'S A WONDERFUL LIFE (1946) phone case. Nice! ...Welcome back to KC of Classic Movies, who plans to resume her Classic Links posts on Fridays. This week's links from KC included the trailer for the Anthony Hopkins-Helen Mirren film HITCHCOCK (2012), due out next month. 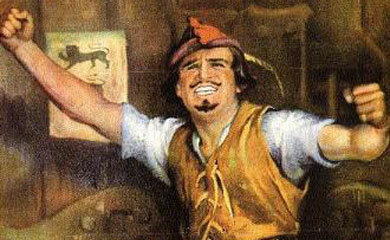 ...The Egyptian Theatre celebrates its 90th birthday this Thursday, October 18th, with a screening of Douglas Fairbanks Sr. in ROBIN HOOD (1922), 90 years to the day after that film's premiere opened the theater. ...Classic Screenings is a new website which aims to provide comprehensive information on classic film screenings around the country. ...From the Wall Street Journal: "Social Media Among Threats to Greeting Card Makers." As much as I love blogging and Twitter, I also still love sending old-fashioned mail. ...Notable Passings: Turhan Bey, the star of '40s films such as NIGHT IN PARADISE (1946) and THE AMAZING MR. X (1948), passed on at the age of 90...Football player turned actor Alex Karras has died at age 77. I remember him best as Hans Brumbaugh in CENTENNIAL (1978-79)...Actor-TV host Gary Collins, the husband of Mary Ann Mobley, has passed away at the age of 74. Thanks for the welcome back! That Lombard set looks interesting. I'm surprised that I only recognize one of the titles.